Located inside what was once a major shopping mall, ACC Highland is a national model for sustainable, adaptive, community-minded reuse. 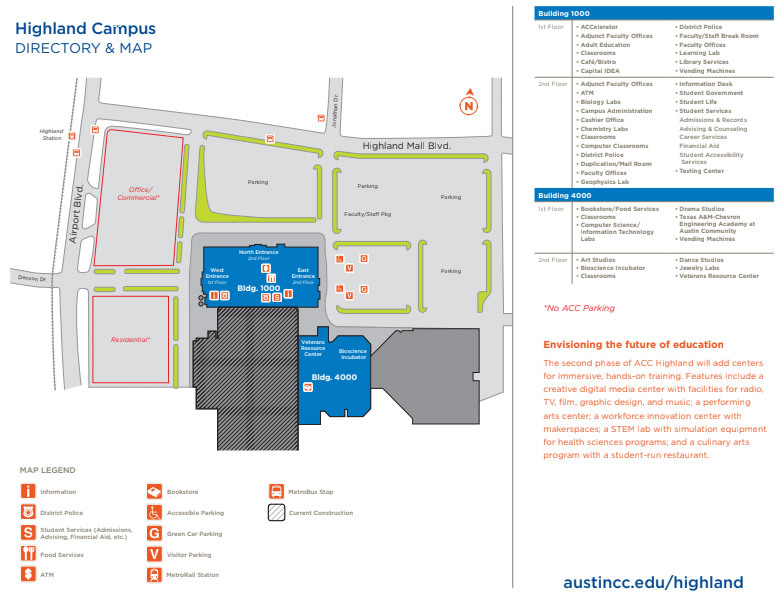 It’s the college’s largest campus and still expanding. With indoor fountains, unique study spaces, a park, and many neighboring businesses, there’s plenty to explore. ACC Highland offers career-technical training, numerous courses intended for university transfer, and an extensive arts curriculum. You can take classes in dance, drama, jewelry design, and more. The campus also houses the Texas A&M-Chevron Engineering Academy and the Bioscience Incubator. 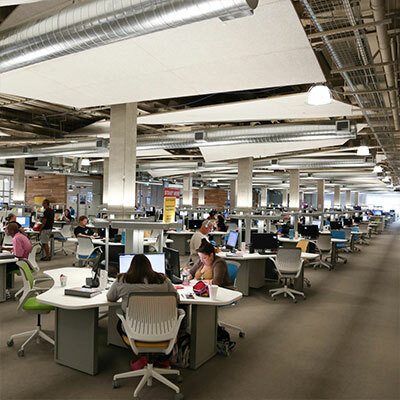 You’ll have access to the ACCelerator, an interactive learning hub featuring over 600 computer stations. A variety of support services are available here, including academic advising and career counseling. The possibilities are endless at Highland Campus, making it a student favorite. ACCelerator The world’s largest learning lab, with 604 computer stations, ACCelerator is designed for personalized, interactive learning. 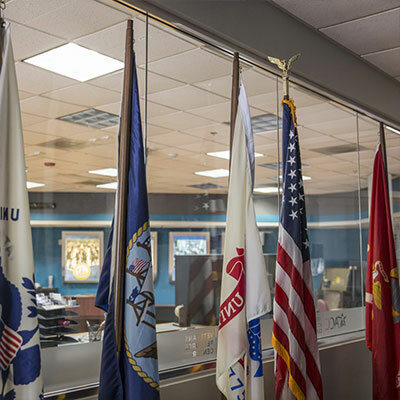 VA Resource Center One-stop access for military and veteran support services, including financial aid, counseling, and VetSuccess college transition services. Bioscience Incubator Students and commercial bioscience developers work alongside each other in Texas’ first commercialized wet lab operated by a community college.